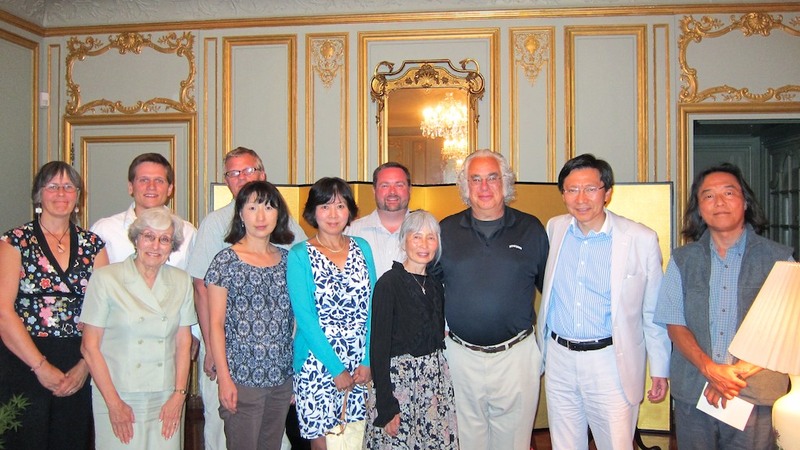 On July 27, 2013, Consul General Muto from the Consulate of Japan in Boston invited representatives from several Maine-Japan organizations to his personal residence in Boston for dinner. The occasion turned out to be a remarkable night, as Mr. Muto was a very generous host, the food was exquisite, and the discussion was positive and productive. Consul General Muto’s receptiveness and engagement in the specific issues pertaining to Maine and each organization was promising for the improvement and expansion of the Maine-Japan organizations. Mr. Muto explained Japan’s interest in student exchanges between the United States and Japan and Japanese language instruction in U.S. schools. The Maine visitors were treated with the utmost warmth and courtesy. Consul General Muto expressed his appreciation for the ongoing efforts to strengthen relations between Maine and Aomori. He plans on visiting Aomori Governor Mimura and wishes to bring a letter from MASSAC and Friends of Aomori with specific suggestions on how both Maine and Aomori can expand and improve upon their relationship! The opportunity to address our thoughts to Aomori Governor Mimura is a great privilege! Thank you! Friends of Aomori and MASSAC were truly grateful for Consul General Muto’s offer to hand-deliver a message on behalf of both organizations. The outreach from Mr. Muto represents the positive direction the relationship between Aomori and Maine is heading. We look forward to further collaboration with the Consulate of Japan and enriching the relationship with Aomori Prefecture we hold dear. Thank you, Consul General Muto!